One of the biggest early December snowstorms in recent years couldn’t slow down Warren Haynes’ annual party for the ages that they call Christmas Jam. While Pre-Jam at The Orange Peel had to be canceled for the safety of everyone involved the truth is (about 8 inches of snow fell Friday in Asheville), it only served to build the anticipation for the main event. To say the Christmas Jam draws an all-star lineup would be both understating the obvious and redundant. Christmas Jam doesn’t just draw the best musicians in the country, it sets the standard for what a single-day, indoor festival of musical friends coming together can look like. Beyond that, all of the proceeds go to the Asheville Area Habitat for Humanity, meaning that the dollars spent will be used locally to help locals in need gain access to safe housing. It’s something you can feel good about from purchasing tickets early (or outside the building 30 minutes after the show starts if you’re my friends) to calling an Uber at 2:30 a.m. and having to check your ID to remember your address. It’s a beautiful event, now in it’s 29th year, that reflects the spirit and love of it’s host city as clearly as polished glass. And it’s one helluva good time. 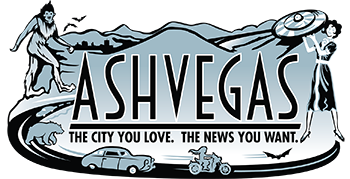 The day kicks off at noon with the Jam By Day at Asheville Music Hall and The One-Stop with a perfect mix of national acts and local favorites. It’s a great way to get warmed up and demonstrates, once again, Haynes’ commitment to engaging and utilizing local talent. Between Travers Brothership, Andrew Scotchie and the River Rats, Dr. Bacon, The Paper Crowns, Woody Wood, Josh Blake, and others, it really feels like a true hometown party. Everyone is happy and smiling, wearing their Santa hats and dressed to the nines. I’m beginning to realize that this event is so completely ingrained into the local consciousness that even the activities surrounding it have become events in themselves. I can’t stick around too long at Jam By Day as I have to be ready to enter the US Cellular center at 5:30 for credentials and check in. As I walk down the road toward the press entrance, the line for admittance to the venue is already stretching around the block. More than half the tickets sold are for general admission. Everyone is ready to get in first and claim their spot at the front. I chuckle to myself, knowing that riding the rail is just not sustainable for a Christmas Jam. Eight hours is too long. This is a marathon, not a sprint, and standing in the front row for the first two sets just means you’re going to have to go to the bathroom during one of the later ones. No, the best way to handle this beast is to start the evening with water, pace yourself, and pick your spots to move up front. Everyone is in a good mood, and with a little patience and a lot of smiling, there’s no reason you can’t get anywhere you want to be in this crowd tonight. Security takes the press in through a side door and we muster in the garage where all the vans and tour busses are parked. The security guards, namely Coach and our contact Donnie, are kind and helpful. It’s clear that everyone working is here to make sure a good night is had by all. At 7 p.m. sharp Warren Haynes and Jake Shimabukoro take the stage, leading the crowd in an acoustic invocation of Sweet Melissa that sets the tone for the entire evening. Somehow, this sold-out show of 8,000 or so is, and all night long will feel, intimate. Perhaps it’s just being in the presence of so many friends. Perhaps it’s Haynes’ vibe and ability to connect to the audience. Perhaps it’s the way the musicians so obviously are enjoying themselves in their sets and collaborations. Whatever it is, it’s something special. 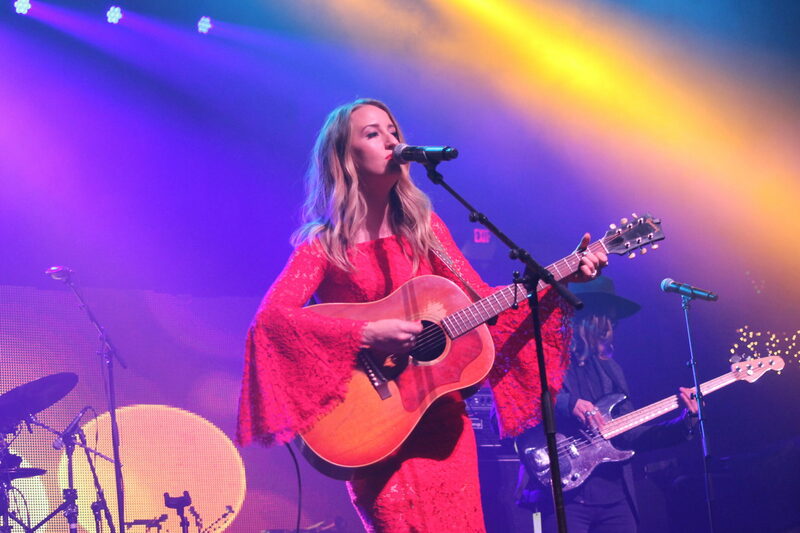 Margo Price, in a stunning red lace dress, follows Shimabukoro with her rootsy Americana, her voice simply remarkable. She plays a solid 30-minute set to a quickly piling in audience, building on Haynes’ and Shimabukuro’s performance and bringing the crowd into the first full-band set of the evening. After a beautiful interlude featuring Portland’s child but Asheville’s sweetheart, Holly Bowling, playing along with Shimabukuro’s ukulele, it’s time for one of my most anticipated shows of the night, Blackberry Smoke. They come out strong with Waiting for the Thunder and never look back. As they press through their half-hour set, keeping it loud and heavy and familiar, I understand why so many people I know never miss this band. Their energy is incredible, their enjoyment written all over their faces, their vibe rusty yet conscious. As their set draws to a close I check the schedule. 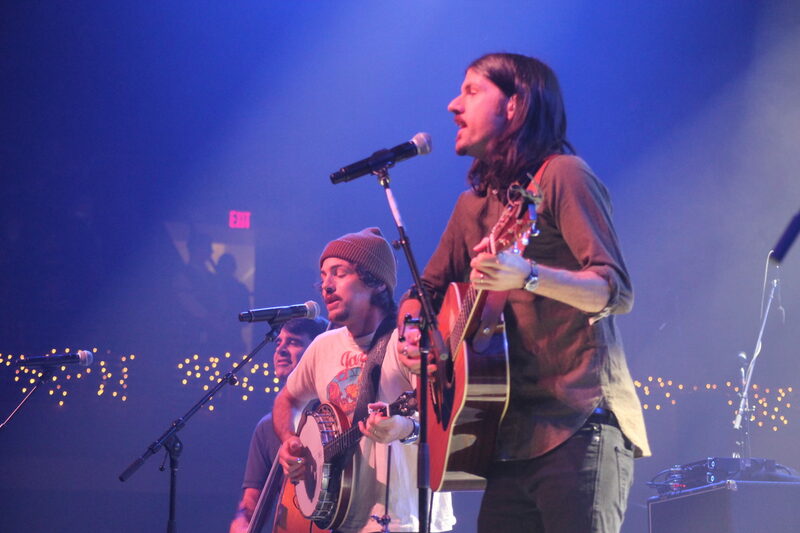 There’s a quick break and then The Avett Brothers take the stage. I sneak to the back and manage to run smack into Paul Jackson of Blackberry Smoke on the stairwell. I try to tell him they played a great set but am pretty sure I just mumble gibberish under my breath while smiling. I take a moment to collect my thoughts. Not even close to halfway through and this is shaping up to be a Jam for the ages. After a few sips of water, I make my way back up to the photo pit to capture The Avett Brothers (as if that’s possible). They lead off with Cigarettes, Whiskey, and Wild Women before bringing Haynes out on stage with them for a magnificent version of Bob Dylan’s You Ain’t Going Nowhere. They play one more with Haynes before closing out a bomber set and moving to the side stage to play the break before Trey. Before Trey. I can hardly believe that Trey Anastasio is next and that I am about to be less than 10 feet away from him. I meet my friends, work out where they will be when I’m done shooting, and head back to the photo pit. My plan is to shoot my 10 minutes, then go boogie down. Journalistic integrity be damned. If I can’t dance to Trey, then I don’t even want to be here. He comes in with a smoking Jiboo, immediately engaging the entire crowd and taking the energy, which already seemed to be so strong, to a completely different level. From there he plows through a perfectly constructed set list of T.A.B. 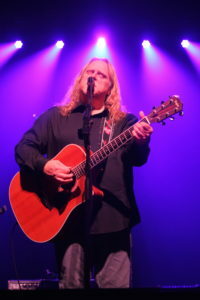 originals, Phish songs, and other covers, ending with an absolutely outstanding collaboration with Warren Haynes on Midnight Rider. As the stage is set for Les Bros, the Allman Brothers tribute band, Trey, Haynes, and Bowling move to the side stage to play us through. After a few songs Trey leaves Bowling and Haynes to deliver a powerfully subtle and quietly strong Morning Dew that brings most of the audience to tears. With hardly so much as a missed beat the lights die on Haynes and Bowling and rise on Les Bros. Their covers are flawless, and the entire crowd, tired as they are from partying for hours already, is really grooving and feeding off of each other. The entire set is fantastic, culminating in a driving, dark Dreams and then stepping away with a Fillmore-esque version of Whipping Post. And now it is all almost over. Well, almost. There is still that one little thing called Gov’t Mule. They come in with a classic Traveling Tune before bringing Ann Wilson out and commencing the, previously unexpected but enthusiastically received Led Zeppelin portion of the evening. 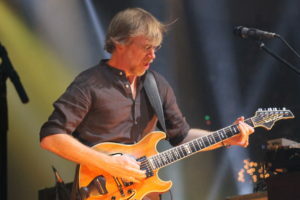 Wilson stays out for six songs, including Black Dog and an inspired Immigrant Song. Then, with Craig Sorrells on trumpet, they finish off the evening with a burly Mule, saying goodbye to the still-capacity crowd in style. Off into the frigid evening we are sent, calling Ubers, calling cabs, trying to find the bits and pieces of our brains that 8 straight hours of unbelievable music has left scattered all over the US Cellular Center floor. Bundling up, pulling out cigarettes, and walking away with an inner warmth that no amount of snow could ever chill. Wow! 29 years strong – snow can’t stop them now. We love Haynes’ dedication to meeting every family he helps through Asheville Area Habitat for Humanity.